There are very few places that take your breath away like the Atlanta Botanical Garden near Piedmont Park. Here, you can feel the joy in the air as you explore the beauty of the grounds. Time seems to fly by as the enticing aromas beckon you along flower-lined pathways to each exhibit. Naturally, you’d like to make the most of your visit, and we’re more than happy to help. Just add these three wonderful activities to your schedule! And, don’t forget to look through our free Travel Guide before you go. This complimentary guide contains everything you need to know about Atlanta for the perfect trip from start to finish. How could you pass that up? 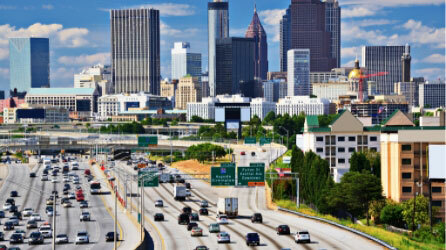 See Our Favorite Atlanta Attractions! Kick off this holiday season with a romantic adventure through the Atlanta Botanical Garden! The beauty here is already breathtaking year round, but their Garden Lights, Holiday Nights event takes it to the next level! From November 17th to January 6th, a stroll through the park brings you into a world of holiday magic and colorful displays. Grab a drink at various bars throughout the park, roast s’mores over a crackling fire, and lose yourself in the spectacles of twinkling lights. Our Midtown Atlanta inn is just a short walk away, so you don’t even have to worry about finding parking for the event! Get your adventure started with a stroll on the Kendeda Canopy Walk! This bridge puts about 40 feet between you and the ground, offering unbeatable views of the Storza Woods. After a short walk, you can find yourself at the Cascades Garden. This tranquil destination is popular among visitors for the trickling waterfalls and the Earth Goddess, a 25-foot tall sculpture partially covered by a collage of flowers. The Atlanta Botanical Garden neighbors Piedmont Park, and there’s one particular spot where you can enjoy views of both! Visit the Skyline Garden to see an aquatic paradise for water lilies and a variety of succulents with a scenic overlook of Piedmont Park. It’s like having two attractions in one! Inside the Dorothy Chapman Fuqua Conservatory, a spectrum of tropical and desert plants await you. The Atlanta Botanical Garden simulates global climates here, providing a haven for unique flowers you wouldn’t otherwise see up close. Walk through the building to find citrus plants, succulents, and tropical flowers. Afterward, take a moment to enjoy the delightful scents in the Fragrance and Sensory Garden before heading to the Fuqua Orchid Center. If orchids are your favorite flower, you can find your paradise among over 2,000 different species! If you’re interested in exploring this floral paradise in Midtown Atlanta, there are a few more things you should know. You can visit Tuesday through Sunday year-round, but the Atlanta Botanical Garden hours vary. It’s open from 9:00 a.m. to 5:00 p.m. from November through March and until 7:00 p.m. for the rest of the year. Atlanta Botanical Garden tickets cost $22 and are worth every penny! After enjoying the beauty of the Atlanta Botanical Garden, stay at Stonehurst Place to find even more. Our art-filled, boutique inn is a true gem of Midtown Atlanta, just a short walk from Piedmont Park and the Botanical Garden. 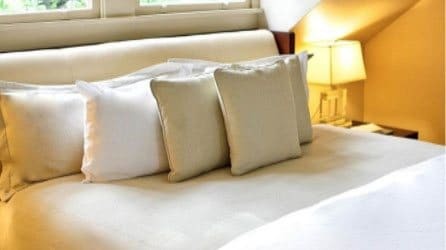 Among our six elegant rooms and suites is The Piedmont, a gorgeous space with a fireplace, queen-size bed, and private bathroom equipped with marble floors and a heated towel rack. We even go above and beyond with amenities like in-room massage services, complimentary refreshments, and gourmet breakfasts. Stonehurst Place is much more than a place to stay — it’s an experience. Come and see why we’re one of the South’s Best Inns! Book your stay today! Photos courtesy of the Atlanta Botanical Garden.